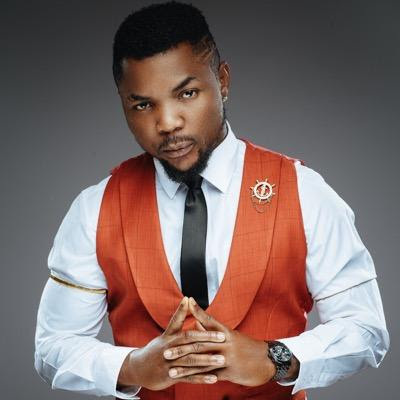 The last may not have been heard of the feud between Nigerian music act, Oritsefemi and his former manager, Yusuf Adepitan, popularly known as Danku, as the singer has reportedly gotten Danku arrested. In what appears to be a continuation of the fallout between the duo, the Lagos state police command stormed the Muson Centre, Onikan at a comedy concert on Sunday to arrest Danku. Reports claim that the long arm of the law caught up with Danku last night. He was allegedly picked up for theft, conspiracy and impersonation by officers of the Nigeria Police Force at the Muson centre on the red carpet of Pencil Unbroken event. “It was life a Hollywood movie, they just stormed the red carpet and whisked him away,” a source said. Danku was said to have been taken to Zone 2, Police command in Onikan, Lagos. It will be recalled that in 2014, the relationship between the 31-year-old ‘Double Wahala’ crooner and his ex-manager went messy after Oritsefemi accused Danku of stealing money from him and also claiming ownership of his MSN record label. Also, in January 2015, the singer threatened to arrest Danku and his mother for conspiring against him and making threats to his life, but this never happened. In April, the duo got into another messy fight after Oritsefemi called Danku out for using the MSN logo for his artiste, Rayce.